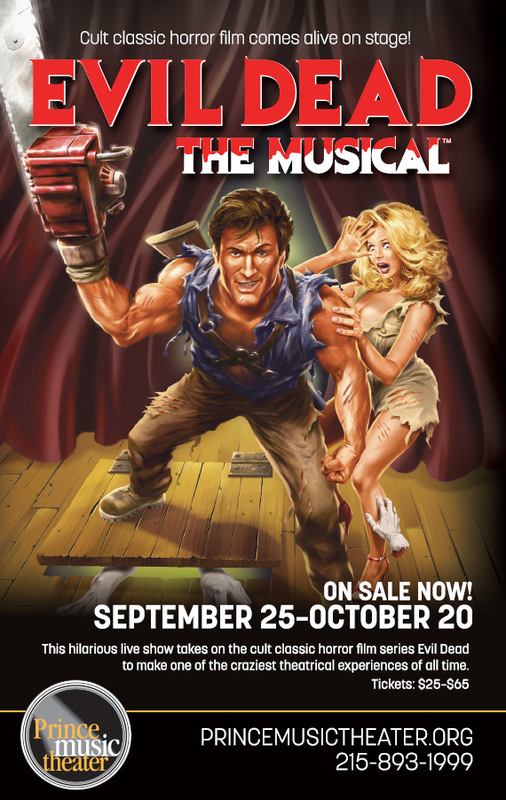 We’re giving away a pair of tickets to see Evil Dead the Musical at the Prince Music Theater! To enter, email us with your name and address and tell us what your favorite horror-comedy or musical is and why. Winners will be chosen at random, only one entry per household please! 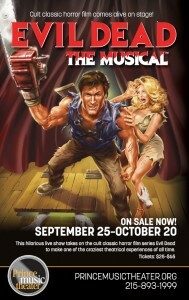 This looks like a ton of fun, and I don’t know of another musical that has a blood splatter zone! This hilarious live show takes on the cult classic horror film series Evil Dead to make one of the craziest theatrical experiences of all time. Audiences love the show, returning again and again — and critics concur, writing rave reviews in The New York Times, The Globe and Mail, Maxim Magazine and more. *Please note: This show contains explicit language, comic horror violence, gore and tons of fun. Parental discretion is advised. This sounds like lots of fun, love to check this out. Nothing better than a live show.